Green energy startup Greenlight Planet, which has operations in India and Africa, has raised $60 million (around Rs 387 crore) led by London-based private equity fund manager Apis Partners. Existing investors Eight Roads Ventures and Bamboo Capital Partners also participated in the funding round, the company said in a statement. In addition, the investment included debt disbursements from the firm’s early institutional lenders Deutsche Bank and Global Partnerships as well as SunFunder, PG Impact Investments, responsAbility and SIMA Funds. Freshfields acted as legal adviser to Apis Partners. 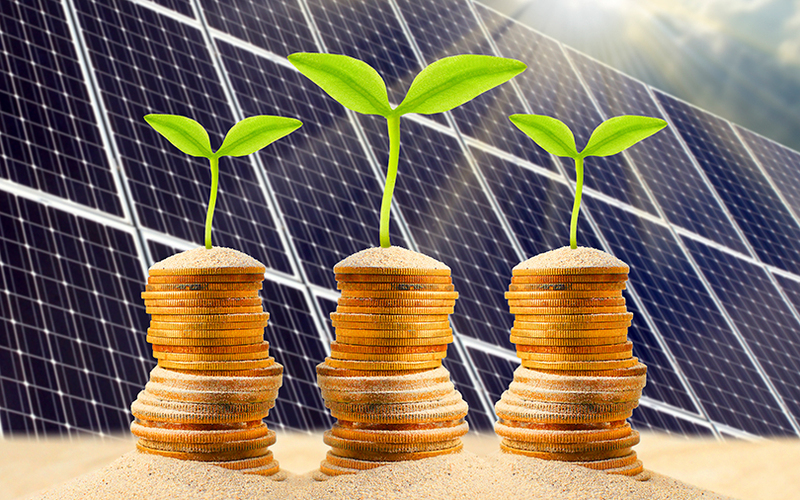 Greenlight, which provides off-grid solar products or loans for buying them, will use the debt and equity capital to expand its solar-energy product lines, distribution networks, and financing capabilities in Africa and Asia. “Today, for less than the cost of a single electrical pole, we can provide a solar home system with enough energy to power a complete range of appliances needed by rural consumers. Apis's investment will allow us to continue expanding access to these life-changing products,” said Patrick Walsh, co-founder and CEO of Greenlight Planet. “We look forward to drawing upon the expertise of Apis Partners to build on our mission to connect off-grid, unbanked populations to power and financing. This is the first step toward solutions for an expanded range of life necessities, from cookstoves to fans, TVs and more,” said Anish Thakkar, co-founder of Greenlight. “We see an opportunity to leverage Greenlight Planet’s distribution partners, technology and platform to offer broader appliance financing to underserved Africa populations. Greenlight’s PAYG system offers a financing product embedded within the sale of a physical product, and this context-based approach to financial services will drive widespread financial inclusion in growth markets,” said Udayan Goyal, co-founder and managing partner at Apis Partners. Greenlight said it has been profitable in each of the last 10 financial quarters. It claims to operate the world's largest direct-to-consumer, pay-as-you-go (PAYG) solar product distribution business, with over 2,400 company-managed sales agents in five countries, selling more than 25,000 solar products to off-grid consumers each month. Customers can pay for their solar products over time using mobile money systems at 25 cents per day. After six to eight months, they own the solar product outright, making solar energy more affordable than traditional electrical grid power, according to the company. The firm began selling affordable solar home systems three years ago and claims to have sold nearly 600,000 to date. It partners with a network of more than 100 distributors, including retailers, NGOs and over 40 micro-finance institutions, to provide sales and service for off-grid communities. Of late, companies in the clean energy space have elicited a lot of interest from investors. Clean Max Enviro Energy Solutions Pvt. Ltd received commitment worth $15 million (Rs 100 crore) from International Finance Corporation, the private-sector investment arm of the World Bank, in February this year. Energy management solutions provider Ecolibrium Energy Pvt. Ltd too had raised $2.6 million (Rs 18 crore) led by early-stage investor and incubation fund Infuse Ventures, real estate consultancy JLL and an angel investor. In May, Mumbai-based cleantech startup ION Energy had raised an undisclosed amount of angel funding from Haptik founders Aakrit Vaish and Swapan Rajdev, and the chairman of OMC Power and Sushil Jiwarajka, founder of Nippo Batteries. In February, igrenEnergi Inc, a US-based solar energy startup incubated at IIT-Bombay, raised funding from Japan’s BroadBand Tower Inc and GiTV. In March, global oil and gas major Royal Dutch Shell Plc said it is looking to make seed and venture capital investments in clean-tech, mobility and energy efficiency solutions startups in India. In December 2016, a group of billionaires, including Bill Gates, Jeff Bezos, Richard Branson and Jack Ma, came together to create a global investment fund worth $1 billion to back clean energy technology firms.